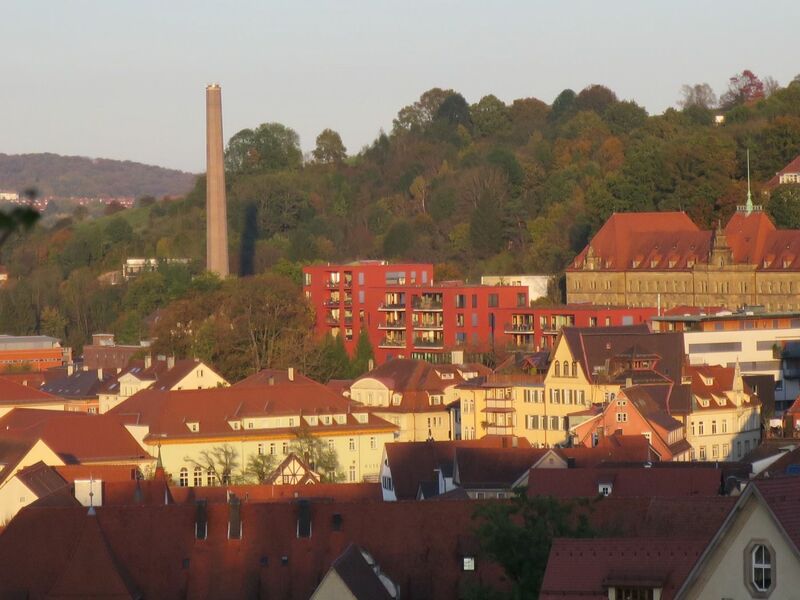 The development is located centrally between Tübingen’s inner city, the Österberg and the university. The plot half way up the hill on Doblerstrasse counts among the City’s prominent, signature locations. 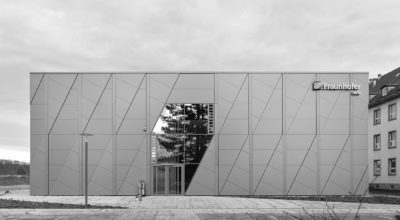 Two elongate buildings with an east-to-west orientation and one building offset by 90° are constructed as the terminal point of the “urban development” along Doblerstrasse on a shared base plate and continuing the line established by the neighbouring buildings towards the south. 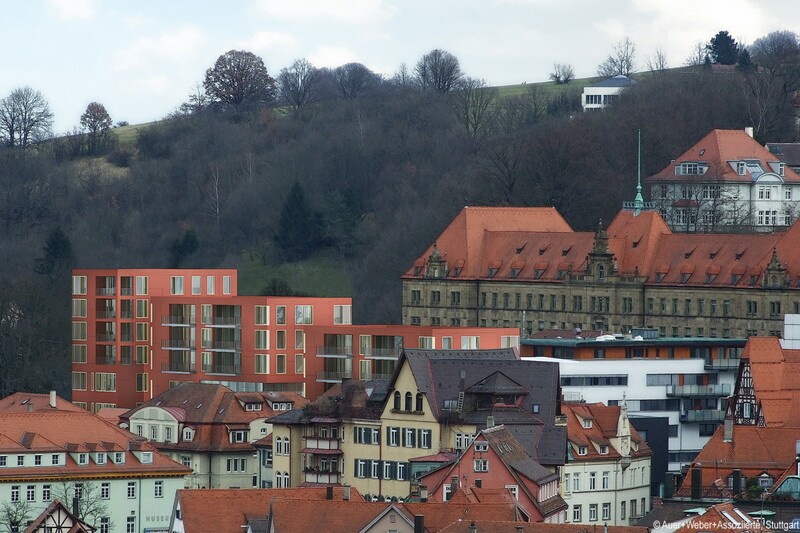 The individual buildings rise up the hill along Doblerstrasse, so by activating the levels beneath the street level in the west, the buildings become progressively taller by one full storey each time. 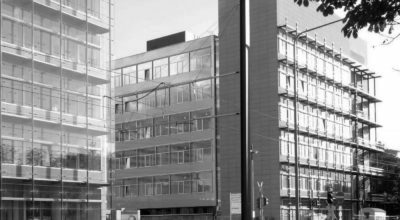 The “address” of the new buildings is Doblerstrasse. The street provides access both to pedestrians and cars. The terraced outdoor areas form a generous open space between the public street space and private or semi-private usages. The result is an elongate square following the street between the new buildings and the Courthouse. On the street level and the level beneath that, service and office facilities are housed. 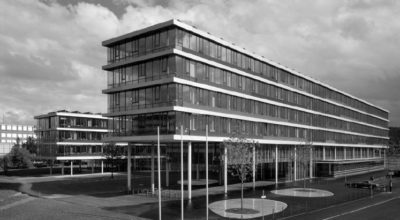 A total of 1.000 sqm of office space have been created. Apart from the service and office spaces, the buildings are used for family-friendly owner-occupied apartments with different and variable layouts. From the first floor upwards, the apartments are east-west oriented with floorspaces of 100 to 150 sqm. 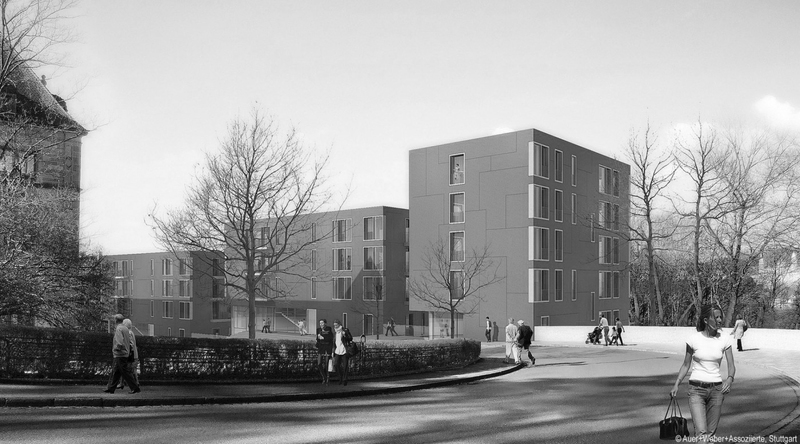 The 16 apartments have a total floorspace of around 2.200 sqm.